Parking facilities present viable commercial real estate investment opportunities. In the past, many parking-type opportunities have not appealed to institutional and pension fund investors. However, new interest has piqued for this niche real estate opportunity. This renewed enthusiasm can be attributed in great part to the relatively small amount of capital outlay required for what can potentially be a long-term, high-yielding asset. Some industry experts recognize parking lot investments will fast become a highly sought-after component of a successfully diversified portfolio. While potentially lucrative investment opportunities are accessible in many markets, success ultimately hinges on geography: location, location, location. Finding ideal outlets can be a hurdle for investors, both large and small. Savvy capitalists are aware facilities located in areas with higher population densities, such as urban locations, will lend to a more profitable, long-term investment. Further, automating parking payment processes will add exponentially to an investor’s bottom line. Changing facility parking rates (i.e., early bird specials, special event rates, etc.) will also contribute to successfully reducing operating costs, thereby lending to more favorable profit margins. The International Parking Institute (IPI) states the United States has over 5 million meters and over 105 million parking spaces. Annual gross figures reveal parking is a $20 billion dollar industry. At first glance, these are impressive numbers. 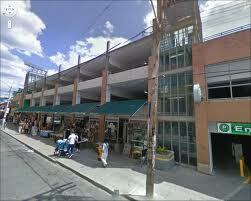 However, many parking facilities are part of already-classified industries, such as hotels and commercial buildings. The monetary flow of the industry is also skewed by low-cost and free parking utilized by entities such as colleges, medical centers, hospitals, subway and bus stations, government buildings, malls and similar outlets. Economic development trends steer parking demand. New buildings such as hotels, commercial office complexes, and retail facilities in urban areas often occupy real estate once housing parking facilities. New construction on these previous lots not only cuts the supply of existing lots, but, ironically, raises the demand for more parking. Supply and demand of this nature actually increases the value of new lots built within proximity of new construction. The astute investor patient enough to work effectively through inevitable red tape and zoning restrictions within these areas can realize long-term gains. Close scrutiny of geographic location, traffic patterns within an area, proposed land use, construction projects being considered, and an area’s overall economy will better position investors considering adding parking facilities to their investment portfolio. The smaller investor, in particular, has a more challenging time comprehensively investing in parking facilities. Lucrative urban outlets in markets such as San Francisco, Boston and Chicago are often aimed at institutional investors. This is evident in the aggressive, strategic marketing done by professionals to private, larger capital sources. ATTENTION: Parking Garage Buyers seeking to aggressively grow their parking garage portfolio. Call 312.433.9300 x20 or Email eli@ideallocation.com if you are selling your parking assets. Current targets include urban, off-airport, hospital, university and transit-oriented development parking garages and surface lots. Privately owned and municipal facilities make up the acquisitions market in the parking industry. Municipal facilities, or public facilities, include outfits such as airports, agencies run by the government, and sports and convention centers. These municipalities have a foothold in most of the parking spaces in the United States. However, government cost-cutting is forcing many agencies to devise creative fundraising. One such tactic being given more than a nod is divesting parking outlets. Though a viable cash-raising option for many municipalities, the required bidding processes, tax and legal hurdles, and title conveyance issues can more than hinder transactions for eager investors. On the other hand, private parking facility investing is often seen as the more favorable outlet; though real estate and tax obstacles can slow transactions. Private transactions can often be successfully completed without a property ever hitting the open real estate market. Whether municipal or privately owned, the structural and financing needs of each market vary greatly. As a result, investment components can be complex. Opportunities should be critically analyzed by investors considering adding parking facilities to their portfolio.